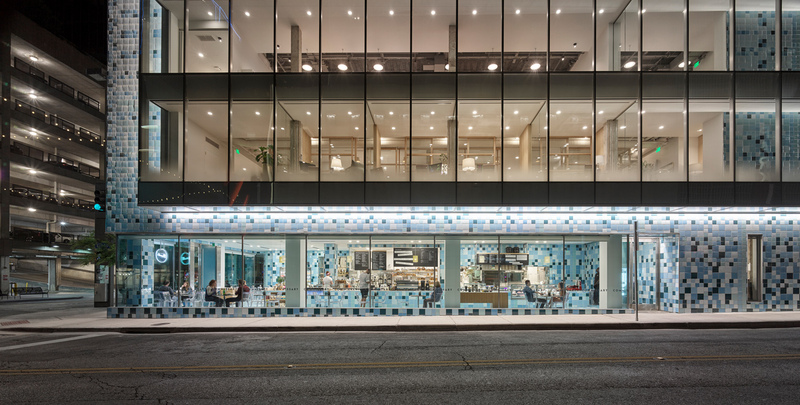 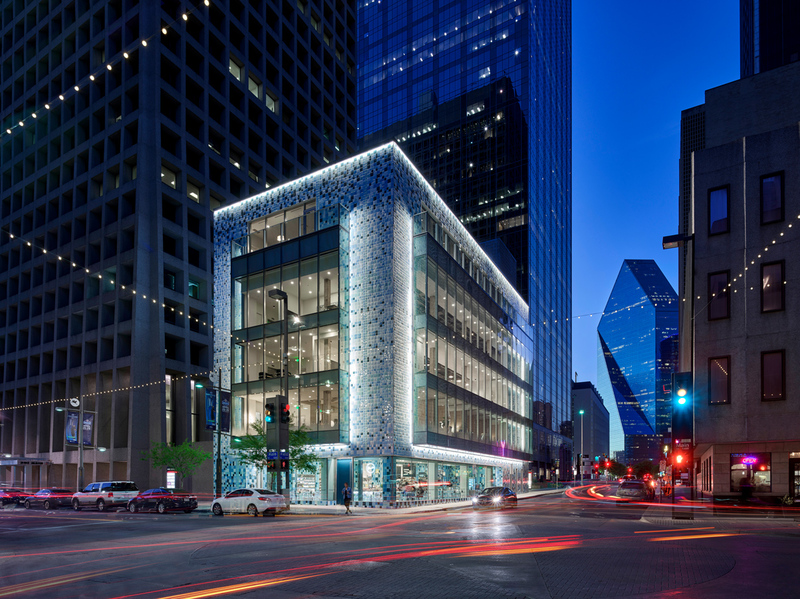 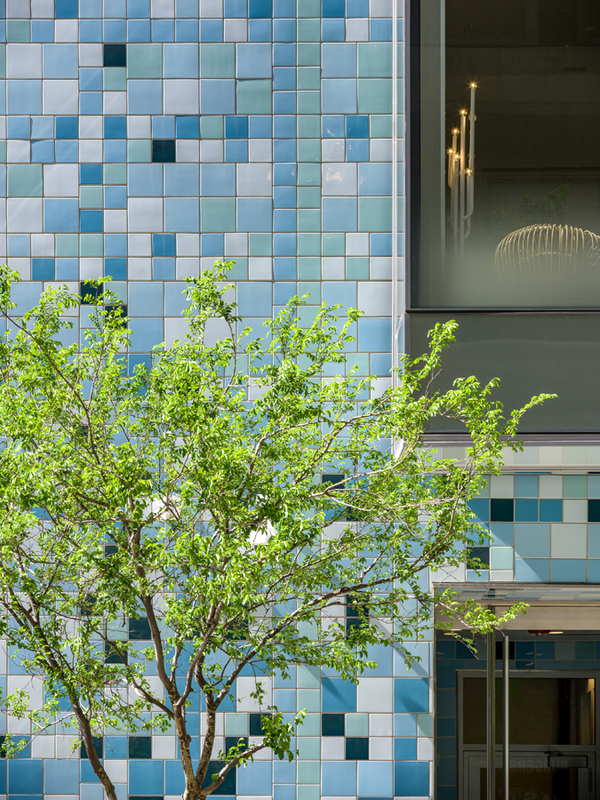 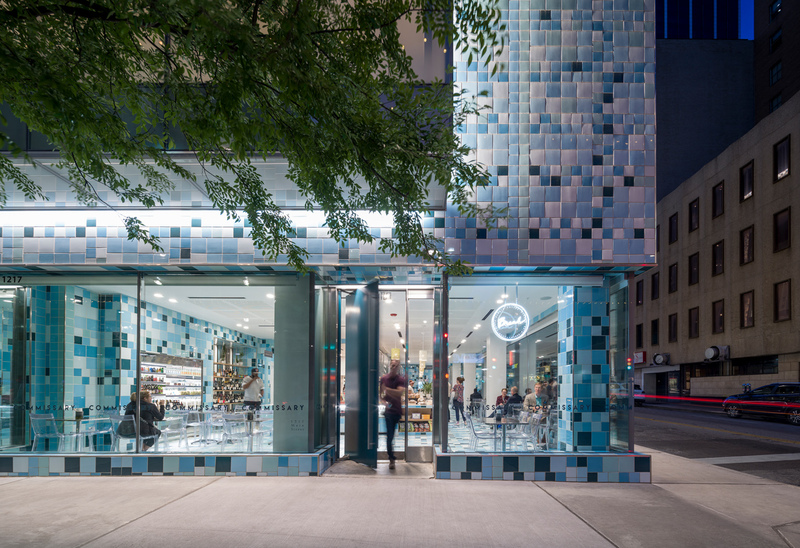 The remodeled 1217 Main Street building opened in December 2017 with a striking mosaic facade. 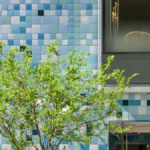 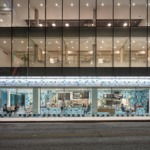 Created by renowned Cuban-born artist Jorge Pardo, the 36,215 glazed ceramic tiles helped give new purpose to the 1950s-era bank as a multi-use commercial and office building. 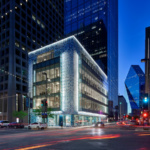 The unique facade was constructed with no visible control and expansion joints, panel or module seams, or shadow lines. 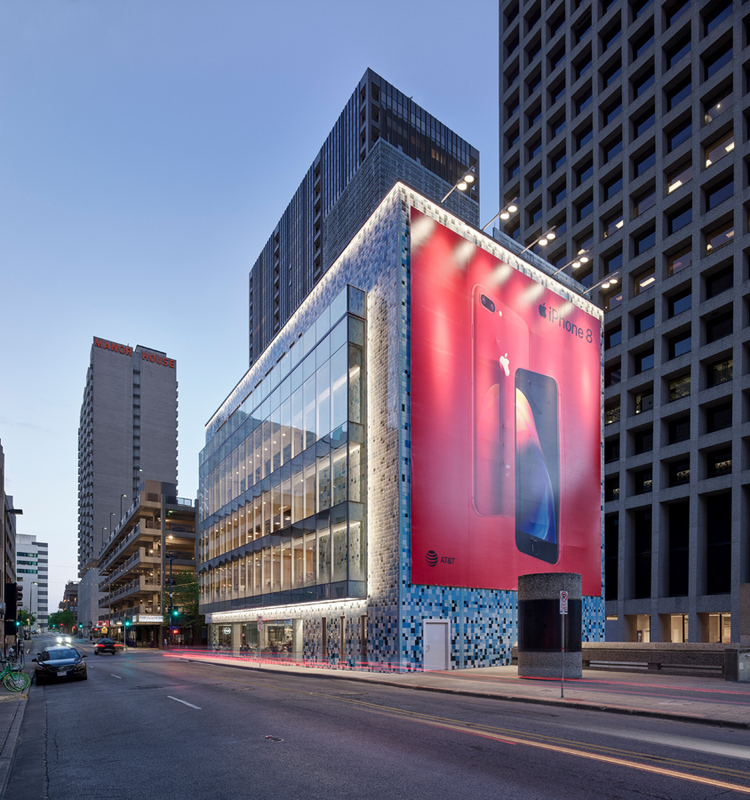 The artist’s intent required that the building read as a single plane. 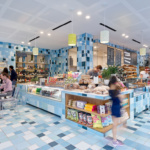 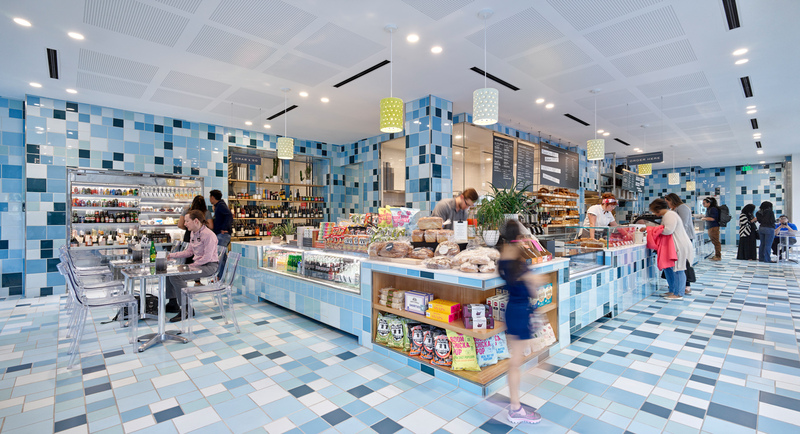 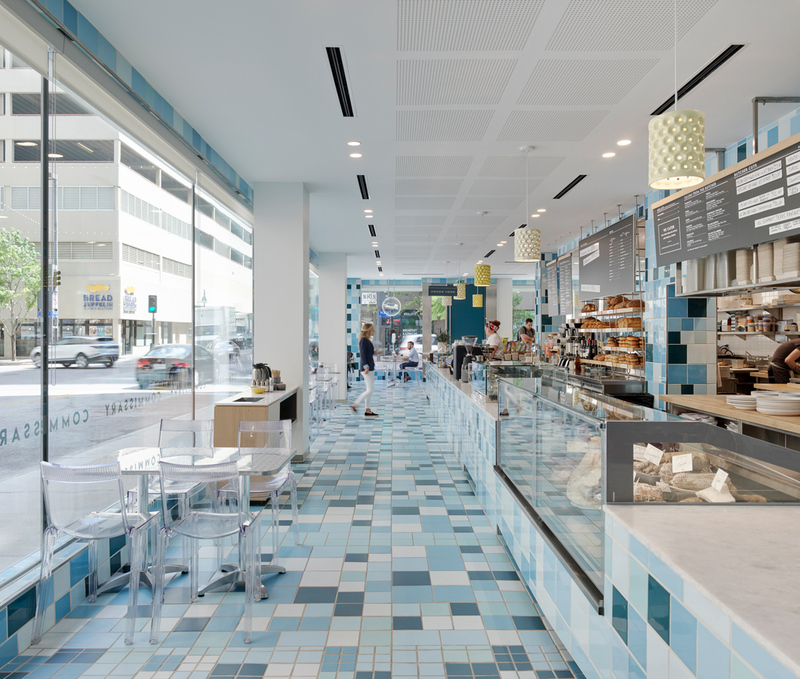 The tile scheme continues through the interior of the ground floor, which houses a butcher, a bakery, and a commissary. 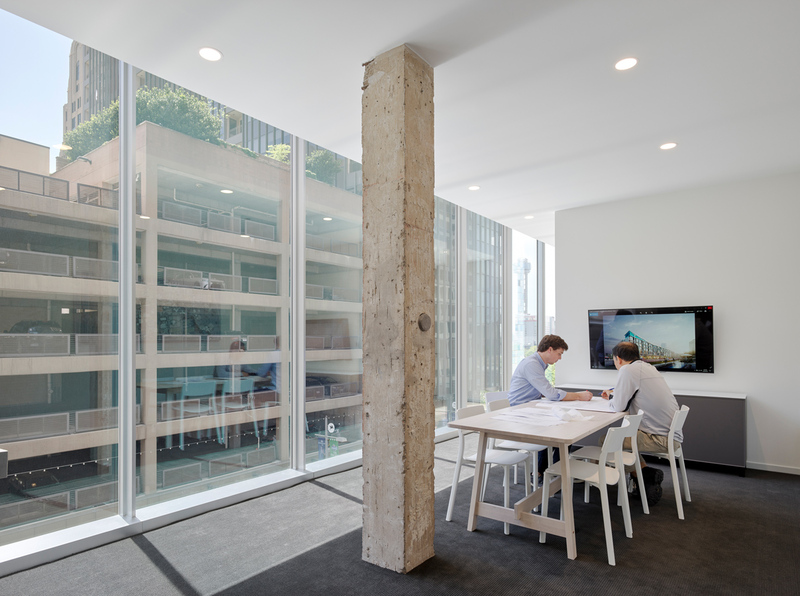 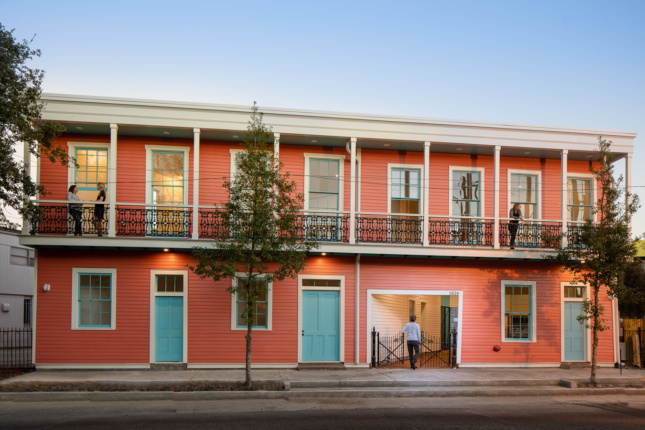 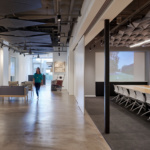 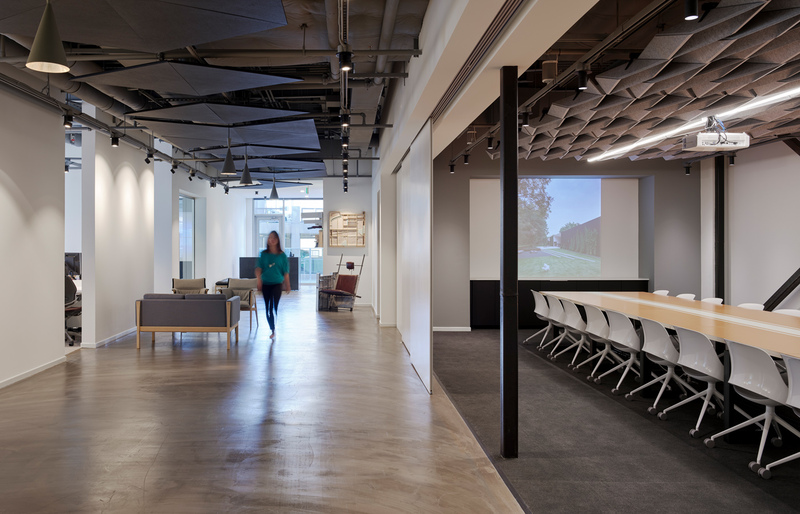 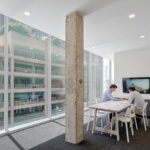 5G Studio Collaborative’s infrastructural intervention also included the addition of a floor, which added more office space to the mixed-use project. 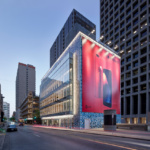 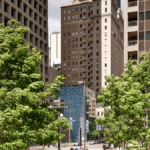 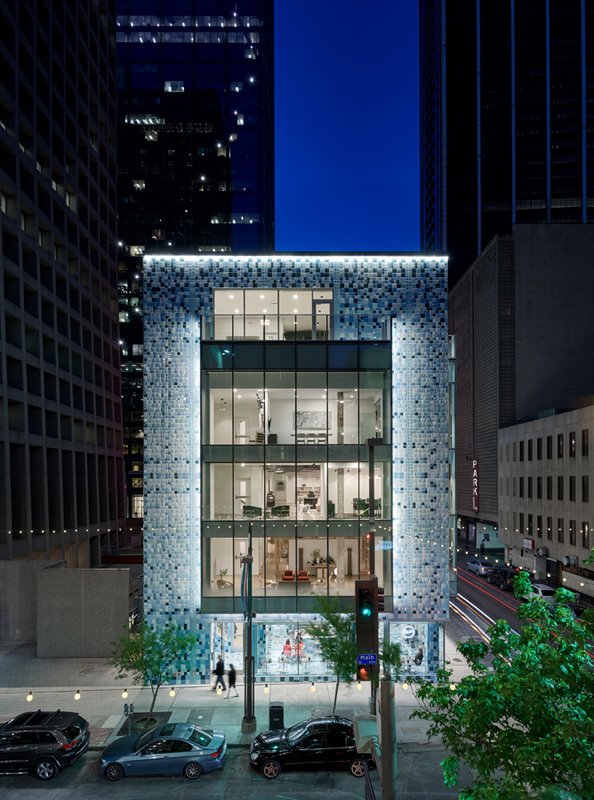 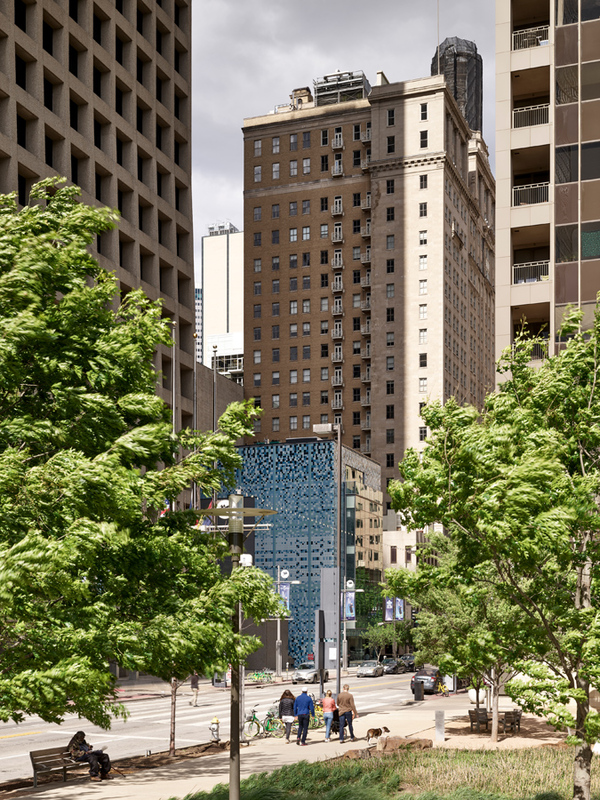 1217 Main Street has become a new landmark and operates as a gateway to Dallas’s revitalized Main Street.